Slots have been popular in casinos for many years. Playing a slot machine is not difficult, but some preparation is helpful. There are a number of general rules that apply to all slot machines. Furthermore, you can also employ a strategy to increase your chances of winning. At Royal Panda you can choose from a wide range of slots. Video slots, classic slots, progressive jackpots, can all be found here. You can start betting from $0.10. Royal Panda also treats you with a welcome bonus of 100% up to ₹7500! What is a wild symbol? This symbol can replace another symbol. This means that the chances of a forming a winning combination are higher. The way this symbol looks differs from slot to slot. A wild symbol cannot, however, replace another bonus symbol. What is a scatter symbol? This symbol can initiate free spin modes. Depending on the slot machine and the number of scatter symbols, you can sometimes receive up to 50 free spins. This means you’ll be gambling for free! Scatter symbols can also yield big wins by multiplying your bet with other factors. 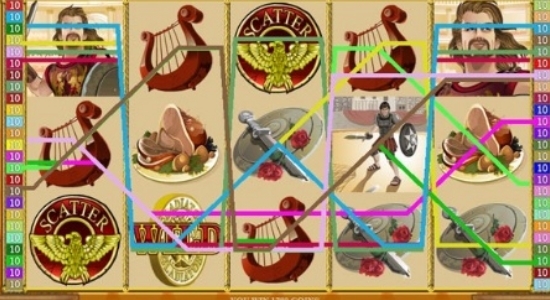 With a classic slot, the symbols appear as regular images. By contrast, in a video slot the symbols can also consist of animations. The means that watching the reels spin can be nice. Classic slots often have a classic look, whereas video slots have a modern look with many audio effects and special themes. A video slot often has a bonus mode as a little extra. Here you can win more points in an interactive manner. And finally, a video slot often has more paylines than a classic slot.